This popular annual conference - now in its 10th year - attracted over 80 delegates (solicitors, barristers, experts and others involved in this area of law) from law firms across England and Scotland. 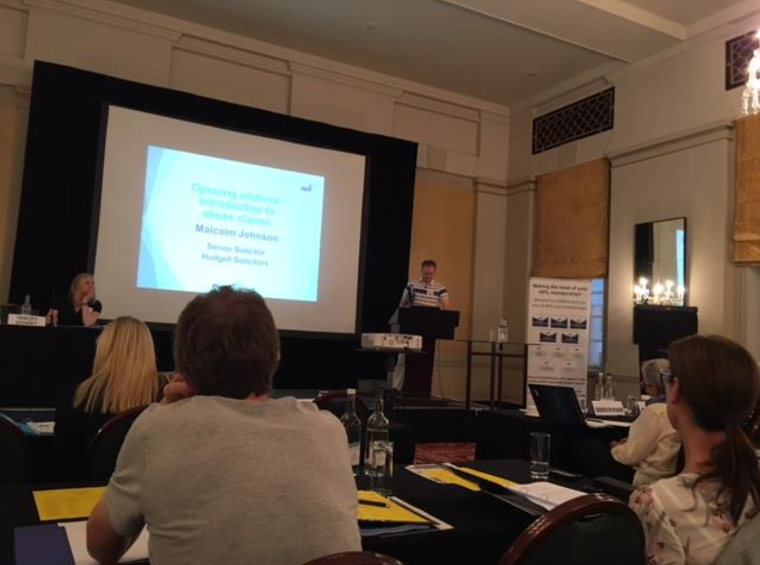 The opening address, “Introduction to abuse claims” was given by Malcolm Johnson, Senior Solicitor, Hudgell Solicitors and a founder of ACAL. Malcolm gave a very interesting presentation reminding delegates of the background and development of child abuse law. Malcolm dealt with many issues that child abuse lawyers face on a day to day basis including limitation, and the role of the Criminal Injuries Compensation Authority. Malcolm also reviewed the history of the case law including many landmark cases over the last 25 years and what he views on a “backlash” following the extensive media coverage of the Jimmy Savile allegations and subsequent coverage of prosecutions of high profile people. Iain O’Donnell, barrister at 1 Crown Office Row, who updated the conference on the case of CN v Poole Borough Council, a critically important case (heard this week in the Supreme Court) concerning the extent that local authorities owe a duty of care to protect children living in their area from harm. Richard Scorer, Principal Lawyer and Head of the Abuse Team at Slater & Gordon Solicitors, who gave an update on the Independent Inquiry into Child Sexual Abuse (“IICSA”).This included reviewing the history of the inquiry, its structure and its progress to date. 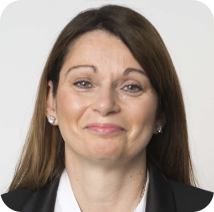 Kim Harrison Principal Lawyer, Slater & Gordon who looked at claims brought under the Human Rights Act 1998 and in particular the causes of action in childhood sexual abuse claims, the time limit constraints, level of compensation and legal costs. Harriet Wistrich a solicitor at Birnberg Peirce and Partners and founding director of Centre for Women’s Justice who talked about this new legal charity whose aims are to “advance the rights of women and girls in England and Wales by holding the state to account for failures to protect violence and challenging discrimination against women and girls in the criminal justice system”. Steve Kuneciwz an Intellectual Property and Media Lawyer with a specialism in Social Media Issues and partner at BLM Law looked at possible claims against social media platforms such as Facebook in an abuse context. Elizabeth Perry, Partner – Court of Protection Department at Irwin Mitchell LLP gave an overview of the Mental Capacity Act 2005, the Court of Protection and Deputyships and Personal Injury Trusts. Catherine O’Neill, Chair, Intermediaries for Justice, London and Clare Park, Speech and Language Therapist, Registered Intermediary gave the conference an insight into the role of an intermediary and how they can assist the most vulnerable (children under the age of 18, those with mental health issues an/or physical disabilities and or neuro-developmental disorders and the vulnerable elderly) to give complete and coherent evidence/accounts. This may include (but certainly not limited to) during police interviews, at court and medical expert appointments by using a variety of tools and aids. An interesting and lively panel debate also took place on “Automatic Victim Belief”. Delegates heard from Richard Fewke, National Co-ordinator, Operation Hydrant, Sean O’Neill, Chief Reporter of The Times, Matthew Scott, a criminal barrister, Pump Court Chambers and Gabrielle Shaw, Chief Executive of The National Association for People Abused in Childhood who all gave their considered views on this issue. Emmott Snell Solicitors would like to thank APIL/ACAL for hosting an enjoyable and informative conference which was enjoyed by all.